Because of its dimensions, some maintenance jobs are so much easier on a Sprinter. A great example of this is changing the rear differential oil. You just need a wrench with a 14 mm hex socket and 30 minutes time to fill fresh gear oil into the differential – which you should do every 120,000 miles according to the Mercedes service interval. A functioning coolant sensor is your best protection from an overheated engine. The design of the warning system unfortunately is not fail safe so you should check the coolant sensor from time to time. Any person can do this test or replacing a worn out sensor in a few minutes. Bleeding brakes is the process to replace the brake fluid in your van. It’s recommended to replace the fluid every two years to make sure your Sprinter stops when you need it to. The job is very easy – if you use a power bleeder you can finish bleeding your brakes in about an hour. On the 1-10 difficulty scale this is a 2. The Drier performs the same filtering function to your A/C system as the oil filter for your engine. Every time you exchange a major part of your A/C system you should do this easy job to make sure your A/C performs perfectly. In a T1N Sprinter the A/C drier is easily accessible and you should be able to replace the old unit with a new one in less than an hour. On the repair difficulty scale this is a three (1, easy to 10, hard). 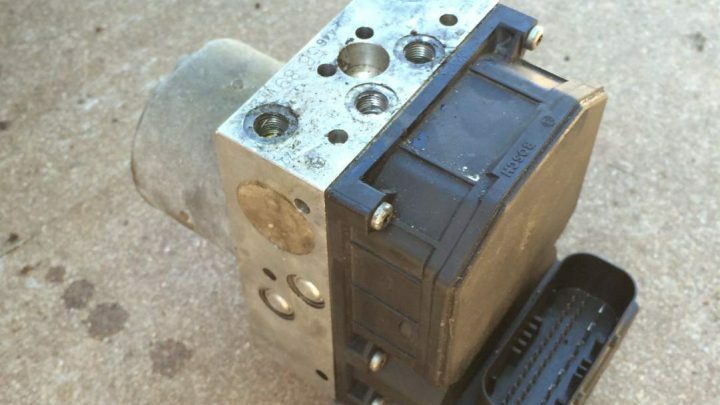 This document describes how to replace the A/C Expansion Valve in a T1N Sprinter Van. The valve is located in the engine compartment under the windshield on the drivers side (for LHD Vans). The wiper mechanism is a bit in the way but with a wrench extension and an Allen bit this job is done in 30 minutes. On the difficulty scale (1 easy – 10 hard) I would rate this job as a 2.